Natural and Organic Deals: Larabar, MammaChia, Organic K-cups and More! Clip a $4/off Amazon coupon on LaraBar to score a bar for as low as 76 cents. 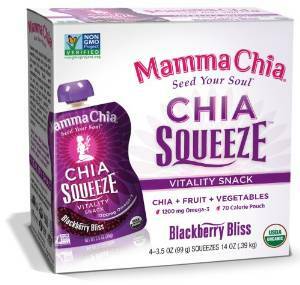 Clip a $5/off Amazon coupon on Mamma Chia Squeeze 24 packs to score these organic snacks that provide over 1200mg of Omega 3 fatty acids! 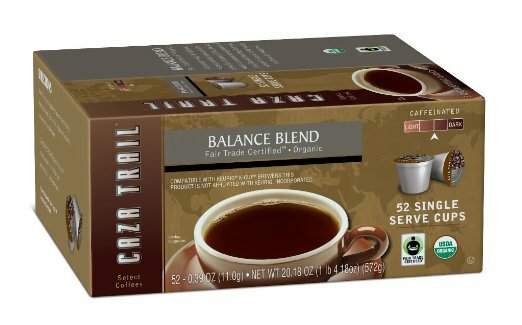 Score Caza Trail Organic, Fair Trade K-Cups for only 37 cents/K-cup on a Manager’s Special! Manager’s Special pricing can change at any time, so act quick! 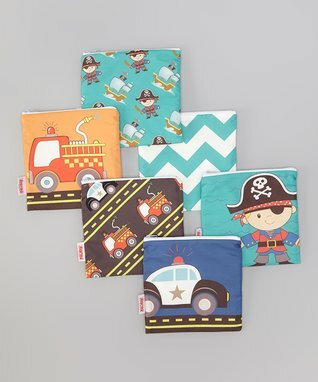 This month, save 20% on Back to School Items. There are many organic and natural options included. Products include: Izze, Gluten Free Rice Krispies, Planters Natural Peanut Butter and Back to Nature Organic Mac n’ Cheese. Over at Zulily, save on Lucy activeware for women. The collection includes yoga pants, headbands and activewear tops. 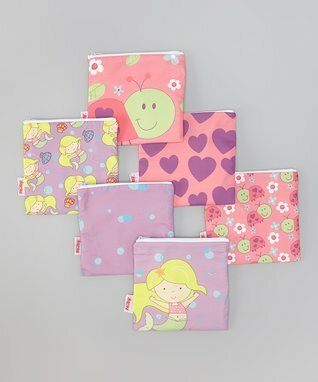 Save on Nuby Reusable Snack Bags in the Pack Your Diaper Bag collection. Each bag is only $3! Pricing for shipping can run high. However, if you plan on ordering more than one item, note that shipping is free on orders after you place your initial order for that day. All deals expire Thursday August 21st. Whole Foods deals this week include Back to Nature Chocolate Chip Cookies for $1.50, Noosa 16 oz Yogurt for $2, Organic Happy Baby Pouches for $0.75/each and more! Trader Joe deals this week include Organic Arugla for $2.49, Organic Chicken Broth 32oz for $1.99, Organic Pinto Beans for $1.19, Organic Granny Smith Apples for $1.25/#, Organic Potatoes for $1/#, Organic Chicken Breast and Ground Beef for $6.99/#, Almond Milk for $0.99, Country Choice Organic Mutigrain Oatmeal for $1.94 and more! Go here to check them out!